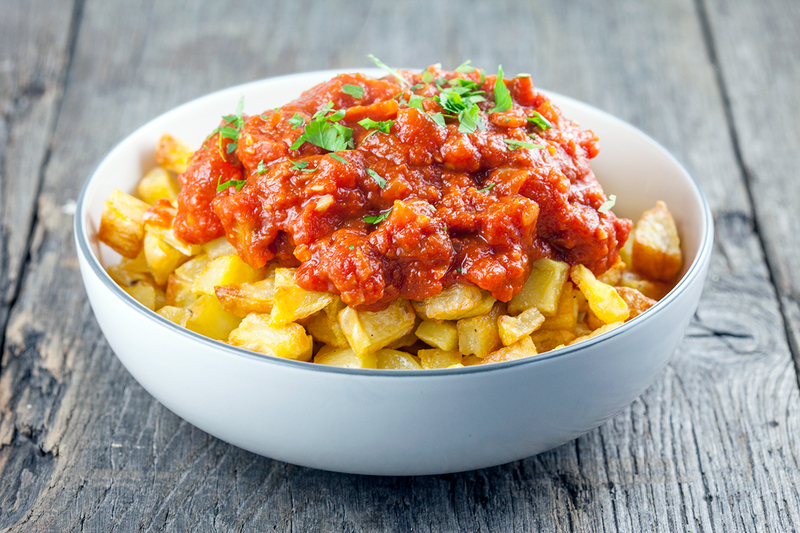 Patatas bravas is a well-known Spanish dish that can be found on any menu of a tapas restaurant. 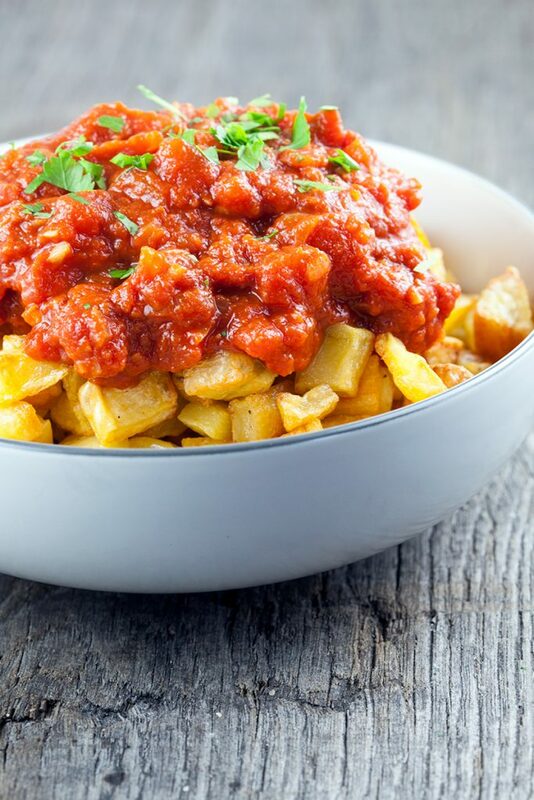 Crispy potatoes with a spicy tomato sauce. PRE-HEAT the oven to 180 degrees Celsius or 350 degrees Fahrenheit. PEEL and finely chop the onion and garlic cloves. PEEL the potatoes and chop them into cubes or any other shape your prefer. DIVIDE over the oven tray lined with parchment paper and DRIZZLE with olive oil, pepper and salt. ROAST the potatoes in the oven for about 20 minutes, or until they’re crispy and golden brown. 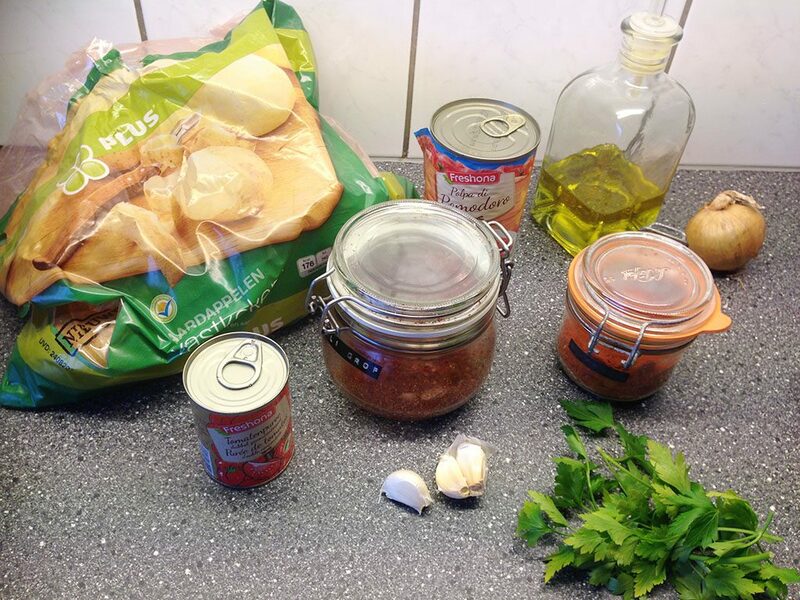 Meanwhile CREATE the spicy tomato sauce. HEAT some olive oil in a small skillet and sauté the onion and garlic for a few minutes. 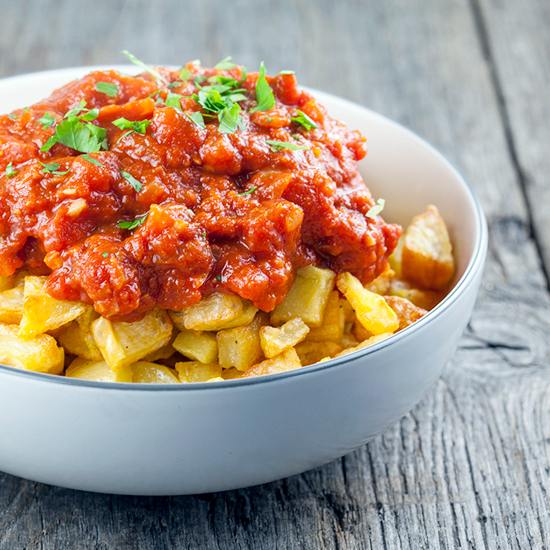 ADD the tomato paste and cook it shortly before you also add the ground chili and paprika powder. After about a minute, you can also ADD the canned tomatoes and let it simmer for about 5 to 10 minutes. SEASON the sauce with pepper and salt and serve them with the roasted potatoes and some chopped parsley if you like. Enjoy!